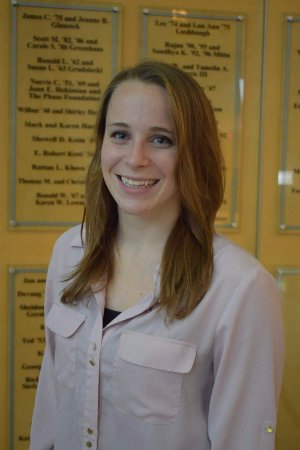 Lindsay is from Gaithersburg, MD and is a senior Fire Protection engineering student at the University of Maryland. She has been an active sister since the spring of her freshman year in 2015. Lindsay was in the Environment, Technology and Economy Scholars program, and is involved with the Society of Fire Protection Engineers. Outside of school, she loves hiking, gaming, watching documentaries, and cooking. She is excited to be a part of such an amazing board and can't wait give back to all of her sisters! Christine is a senior Bioengineering major. In addition to being Secretary, Christine works at the University Book Center and in the Bioinspired Advanced Manufacturing Lab. In her free time, you can find her binge watching almost any cop show on Netflix, hiking, baking, working out with CHAARG, and hanging out with sisters. She is very involved with UMD Professional Greek Council, and has served as the PGC Treasurer and our Chapter Representative. Her dream for A.O.E. is to strengthen our relationship with other professional and social organizations on campus. Rachel is a Fire Protection Engineering Senior. She works as an ambassador for the engineering school, recruiting prospective students to UMD. When she has free time, she enjoys rock climbing on campus, relaxing with sisters, and playing with puppies. During breaks, she loves to take trips. Last winter, she went to Rome with an A.O.E sister and is planning a trip to Thailand for this winter. Amanda is a senior Mechanical Engineering major, with minors in Engineering Leadership and International Engineering from Cockeysville, MD. 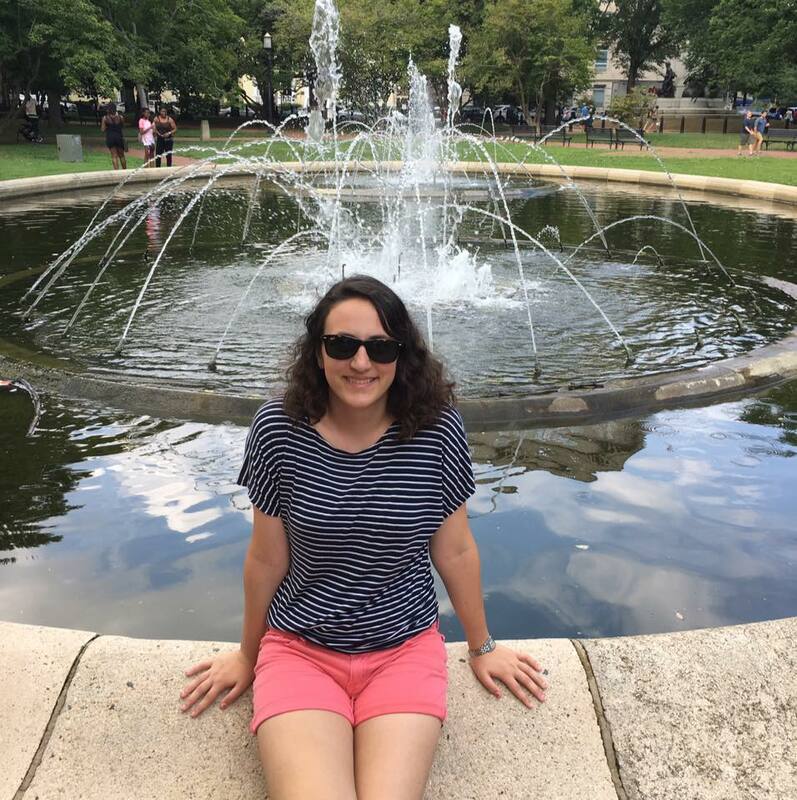 In addition to being an active sister in A.O.E., Amanda can be found working as an Ambassador for the Clark School of Engineering, and conducting research at Optimal Thermal Systems labs. During her free time, Amanda can be found starting Netflix series she’ll never finish, arguing over conspiracy theories surrounding the next season of Game of Thrones, and attempting to fulfill her lifelong dream of becoming Ina Garten. This year, Amanda is taking on the role of Membership Educator/Mom for A.O.E., and couldn't be more excited to help her candidate class through recruitment and helping them create long-lasting friendships! Kerry is a junior studying Civil Engineering on the Transportation and Project Management Track. She is from Philadelphia, PA and is so happy with her decision to come to Maryland for school and especially with her decision to join A.O.E. in her freshman year. Besides school work, she likes to explore D.C., go to Philadelphia sports games, and travel (this summer she's been to North Carolina and Vancouver). Kerry is so excited for all the events coming up this year, especially Terp Thon, one of our biggest philanthropy events, FTK. Annika is a senior studying Chemical Engineering. One of her biggest passions is traveling, spending her summers in exotic locations like Pennsylvania, Ohio, and South Korea! She devotes her free time to going to football games, reading, annoying her cat, and procrastinating by writing autobiographies. Along with being professionally passionate about A.O.E., she is also an active member of the Food Recovery Network and helps to write the OXE newsletter. Her biggest hope for A.O.E. is to continue its tradition of being a relaxing place for future professionals to support each other. 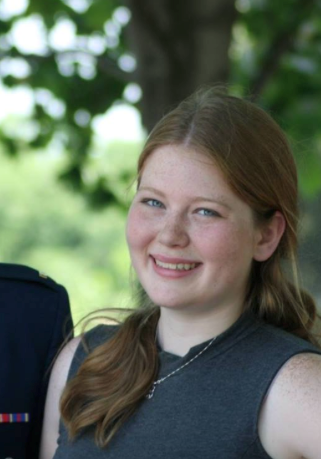 Jane Rouse is a senior bioengineering major. In addition to her role in A.O.E., Jane is also on the executive leadership committee for UMD's Relay for Life as well as a member of the female fitness society CHAARG. In her spare time, she likes to be artsy, go running, play with every puppy she sees, and binge watch Netflix. She is very passionate about a variety of issues, and likes to volunteer and work to make a change. Her biggest goal for A.O.E. is to provide an opportunity for women in engineering to come together and find lasting friendships.